May 1st. It's the day called May Day. 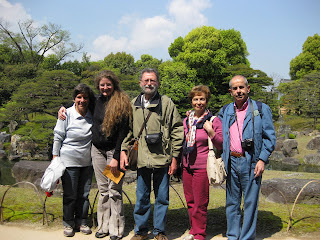 However, I completely forgot it, and I chose Nijo Castle as the first leg of our tour. When I got there, I found so many people gathering in front of the castle. Actually I thought I had made a blunder. On the contrary, they got interested in the rally, and took some pictures. Secretly I was releaved.....though, after visiting the castle, we had to walk to the next bus stop due to the halt of the traffic. It was amid so-called the Golden week, luckily we saw the wedding ceremony held in the castle garden. 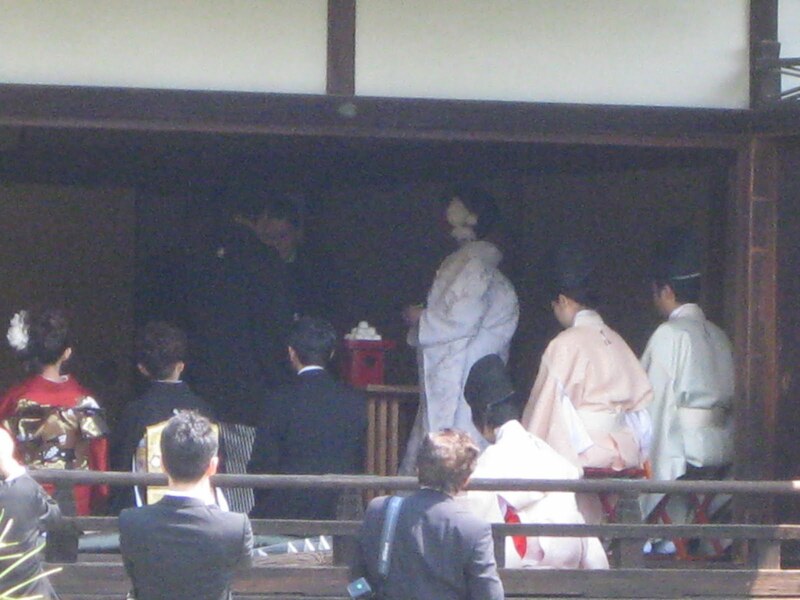 When we saw the on-going ceremony, we talked about the registration of the marriage to the public office. When we got married, we have to file our marriage paper to the public office and make a new household. They were interested in how we deal with our family name at that time. However, we have to choose one of the names we had before our marriage. Many people choose the husband's name. They were wondering if it is confusing that the woman has to change her family name at the workplace. There are, of course, some cases in which they keep using their maiden name. 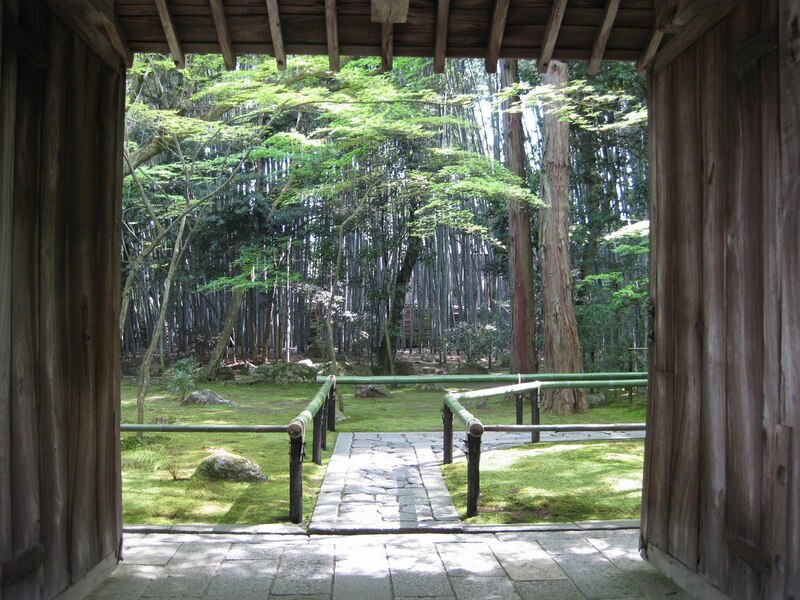 At Ryoanji temple, they were attarcted by the small moss side garden. 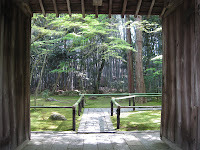 So we visited Kotoin in Daitokuji temple and Silver Pavillion, both of which have moss gardens, too. They seemed to fully enjoy each garden. Starting their hotel, Nijo Castle, Golden Pavillion, Ryoanji rock garden, Koto-in (Daitokuji ), Silver Pavillion (Ginkakuji temple), Phylosophy path.